Whatever Die Winterreise may have meant to Wilhelm Müller, whether for him it was a documentation of the deepest, darket personal emotions or just another exercise in Romantic persona and irony, it made a great impression on Franz Schubert. Schubert knew little if anything about Müller and Müller knew little or nothing about Schubert, the man who would keep his name alive through the next two centuries. In respect of Müller we had to ask the question: where did the poetry of Die Winterreise come from? In respect of Schubert, we have to ask the question: what did he see in Die Winterreise? Our response – tediously predictable for the readers of this blog – is: we have no idea. In the preceding chapter we pointed out just a few of the many reasons why we should be wary of using the biography of an artist to explain his or her works. What is true for writers is also true in a slightly different way for composers. Schubert was a composer, not a writer. He composed with extraordinary energy and discipline from his late teens until his death at the age of 33. He spent very little time writing about himself or what he was doing: his diary is almost non-existent, his letters few and far between. Writing this statement makes me feel happy, because every hour when he wasn't writing he was composing. What wonderful pieces would we not have today, had he spent his mornings or evenings writing 'Dear Diary' pieces and scribbling letters about his feelings. We therefore have very little biographical material that is reliable in that it comes directly from the subject. Unfortunately, Schubert's concentration on doing what he did best, writing music, leaves the emotional speculation business with lots of gaps that need to be filled. 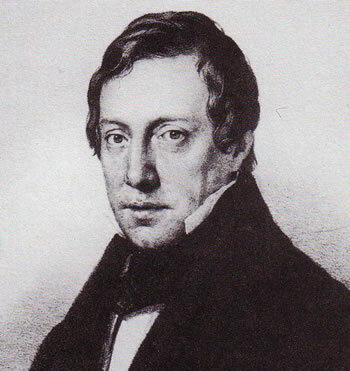 Much worse than the gaps is the large number of memoirs written by people who knew him, or people who realised that the dumpy little Viennese piano-player they had bumped into here and there during the 1820s was now regarded as a great composer, or people who never met him but had heard some anecdote about him from their third cousin. There are sugary memoirs written by those who loved and admired him and memoirs by jealous rivals attempting to downplay his importance. There are carefully crafted pieces by professional writers who knew him. Some of his closest companions never wrote anything about him at all. Decades after Schubert was dead and his importance began to be appreciated the would-be biographers went around collecting memoirs from anyone who had known Schubert. We have to treat all these memoirs with extreme scepticism. They are created by people writing without any documentary basis in a time without photographs, video or photocopies, perhaps pulling some old notes and scraps out of some dusty drawer but otherwise completely reliant on their decrepit memories. Their testimony is often interesting, but rarely gives us grounds for confidence in it. Because of the paucity of first-hand, contemporary materials and the surfeit of late conjectures Schubert's biography is full of contradictions: In one view he was poor as a churchmouse, in the other view he never starved and earned more than he would as a schoolteacher; in one view he was introverted and depressed, in the other he was cheerful and spent many hours carousing with his friends; in one view he was terminally ill, in another he was positive about his health; in one view he was lonely and isolated, in another he had his wonderful 'circles of friends'. Whatever we feel in his music leads us to reach for the appropriate guess to 'explain' it. That is bad enough, but as we noted in relation to writers, it works the other way: we take what we feel in the work and project that into the artist's life. Let us be clear: the factually high grade of uncertainty on the one side as on the other side of the imagined river of Schubert's life are connected with a bridge, the stability of whose logical structure is misleading, embedded as it is in the marshy ground on which its foundations rest. If we do without such an explanatory model, we remain confronted, for good or for ill, with a mixture of possible motives of Schubert's. Then one thing cannot be overlooked: the precondition and the result of this now traditional identification of Schubert's life and work is the judgement that Schubert's 'Winterreise' and perhaps too the Heine songs dominate the music that Schubert wrote in 1827/1828. This view, particularly in relation to the piano trios, the three piano sonatas, the C major string quintet or the Mass E flat major is not acceptable. As an example, the insidious and widely held view that all these late works – and particularly the Winterreise– were a part of a 'swan song' suffused with melancholy with which Schubert anticipated his imminent death is just absurd. This view just results from people who should know better projecting their sadness into Schubert's biography. For a time Schubert was in a gloomy mood and seemed affected by something. In reply to my question about what was up with him he replied only: 'well, you will all soon hear it and understand.' One day he said to me, 'Come to Schober's today, I shall sing you a cycle of terrible songs. I'm curious to hear what you think of them. They have affected me more than any other songs.' He sang for us in an emotional voice the entire 'Winterreise'. We were perplexed by the dark mood of these songs. Schober said that he liked only one song, 'Der Lindenbaum'. Schubert replied that 'these songs pleased him more than all the others, and they will please you too'. He was right, because we were soon enthused by the impression of these poignant songs, which Vogl performed masterfully. – There can be no more beautiful German songs and they were actually his swan song. Left: Joseph Freiherr von Spaun (1788-1865). 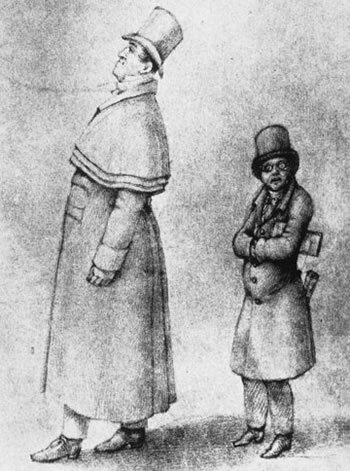 Right: Franz von Schober (1796-1882). How much do you remember of what people said to you thirty years ago? Spaun's testimony sounds superficially very convincing, but it is characteristic for so many of the memoirs of Schubert that its accuracy has to be doubted - without impugning any malicious intent to Spaun, who was one of Schubert's most constant and reliable companions. He is an old man asked by a biographer to deliver memories and anecdotes of his friend from more than thirty years before - and that is exactly what he did. But when we look more closely at his memory it becomes much less credible. Spaun gives us no date for these events. This is important because it leaves us with no idea which Winterreise he is talking about. Schubert worked on the twelve poems of what became the first section sometime before February 1827, when he dated the fair copy. Was this the Winterreise that Schubert sang to his friends at Schober's apartment? Or did Schubert sing them the 'full' Winterreise, which then dates the performance to sometime after summer 1827, when Schubert came across Müller's collection in Waldhornist 2? In which case Schubert's peformance to his friends would have taken well over an hour. Spaun's account resembles a good ghost story, in that it is full of phrases that are suggestive of mood and which presage some horror to come: 'in a gloomy mood and seemed affected by something', 'you will all soon hear it and understand', 'affected me more than any other songs', 'sang for us in an emotional voice', 'these songs pleased him more than all the others'. As with a ghost story, we should try to discount the mood settings. Perhaps most worrying about Spaun's memory is that in Spaun's extensive obituary of Schubert written in 1829 we find no mention of the Winterreise and that remarkable and memorable first performance to the 'circles of friends'. The tone of the obituary respecting the events of the years 1827/1828 is certainly positive – cheerful even: things seem to be going well for Schubert. There is certainly no trace of gloomy moods and 'swan songs'. Perhaps at a distance of thirty years Spaun was conflating the title 'Swan song' that was given by a music publisher to a posthumous ragbag collection of Schubert songs with the songs of the Winterreise. One thing is certain: we shall never know. Finally, and most worryingly, we have no other reports of this remarkable first performance of Winterreise. No friend who was there has left an account of these 'terrible' songs. Years later, when asked for his memories of Schubert, Schober declined. He was 'too busy' working on a collection of his complete poetical works. All those years before, when Schubert was on what would become his deathbed, he wrote to Schober, asked him to come and visit him and bring him some books. Schober never came, whether from fear of infection or whatever reason, he never came. He never wrote anything down, this 'closest friend' of the musical genius, never left us a word about him, this great writer. But… but… there must be some reason that Schubert expended so much effort to set Müller's Die Winterreise to music. We cannot just pretend that Schubert was some kind of composing automaton, who was completely unaffected by the world around him. But perhaps we can make some guesses that are not too wild, but without any confidence at all that we are right. There can be little doubt that Schubert was an intensely private person, as we would put it nowadays. This in not the same as saying he was an introvert. On the contrary he had many extrovert traits: although never a gabbler he relished social life, enjoyed the tavern, was happy playing for the crowd and taking part in social activities and games. He was in no sense a recluse. He was a man of few words, it seems, but not taciturn. Those who got close to him rarely recounted his words or his moods. He was in a predominantly male circle, none of whom could qualify as gossipy. As a consequence of the political conditions under Emperor Franz II it was considered wise not to write too much down. The inner life was a life that should be lived internally. Spaun, in his obituary of Schubert, wrote of his 'modesty'. How far this was 'modesty' and how far 'repression' is impossible now to say. When on occasion the singer who performed his songs was drowned in enthusiastic applause and no one gave a thought to the little man sitting at the piano who accompanied soulfully the songs he had written, the modest artist was not put out in the slightest by being so neglected. The account in the obituary was a concise version of events. When Spaun returned to a description of his friend thirty years later he added some credible details. When Vogl or Schönstein, accompanied by Schubert, performed songs before larger gatherings they [the singers] were bombarded with applause, but no one took any notice of the modest genius who created the melodies. He was so used to this neglect that it never bothered him at all. Once, when he and Baron Schönstein were invited into a princely residence and were to perform his songs before a very aristocratic audience, the delighted listeners surrounded Baron Schönstein with the most passionate recognition and with praise and compliments on his performance. But when no one bothered to even look at the composer sitting at the piano the noble lady of the house, Princess B. attempted to counter this neglect and greeted Schubert with the most extreme praise, thus implying that he should overlook the fact that the other listeners, completely captivated by the singer, only praised the singer. Schubert thanked her and replied that the Princess should not trouble herself at all about this since he is accustomed to being overlooked and that he even preferred it this way, since he felt less embarrassed. 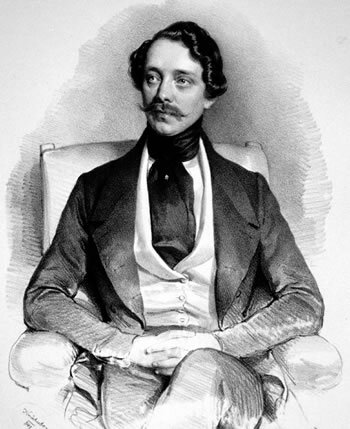 Left: Carl Freiherr von Schönstein (1796-1876), tenor-baritone. Right: Schober's drawing of 'Michael Vogl and Franz Schubert setting off for battle and victory'. Schober is considered by many to have been Schubert's most intimate friend. The existence of this amusingly wounding caricature makes one wonder about that. Franz Schubert, the son of a schoolmaster, the grandson of a Moravian peasant farmer, had next to no standing in the aristocratic Viennese society of the time, in which title was everything. The last time I was in Vienna, several decades ago, seemingly everyone had a title and used it frequently in everyday discourse – the remains of the Austrian Empire that had stumbled step-by-step to extinction during the nineteenth century finally to collapse in 1918 could still be heard in the speech of the city nearly a century later. When Schubert had a brief run in with the police in 1820, on the report he is recorded as an 'Assistant Teacher' (a job designation possibly protecting him from conscription). Later, on his visiting cards and announcements, faute de mieux, Schubert would give himself the title 'Compositeur'. Even among the Freundeskreise, the 'circles of friends', even among the guests of the 'Schubertiade' Schubert seems to have been the entertainer, the piano player. As the evenings wore on and the serious music ran out he would often be still at the piano, hammering out the latest walzes and gallops for the assembly. Und er läßt es gehen / Alles, wie es will, / Dreht, und seine Leier / Steht ihm nimmer still, 'And he just lets it wash over him, everything, however it is, just keeps turning and his hurdy-gurdy is never silent'. There were times when he just never turned up for these events. He was not forgetful, absent-minded, other-worldly or locked up in his thoughts. His musical self-discipline is awe-inspiring and his years before the mast as an assistant teacher under his father would have taught him organizational skills. In my opinion he just couldn't be bothered. Pieces were requested or 'commissioned' from him in a way that gives us the impression that those commissioning thought they were doing him some kind of favour by keeping him busy, or just by deigning to ask him. We have already seen one example in the discussion of the wonderful choral work Ständchen ('Zögernd leise', D921). Schubert went along with this abuse; at least we know of no occasion when he protested or asked for money. The other side of this, of course, is that Schubert was never consistently well-off. Although we can overdramatise his money woes, there are touching examples of his precarious financial state. For example, a friend was told to take the fair copy of a part of Die schöne Müllerin to the publisher almost before the ink was dry and not to return without cash in his hand. Und sein kleine Teller bleibt ihm immer leer, 'and his small bowl remains always empty'. We don't need to see Schubert's personality traits in Müller's Die Winterreise at all. 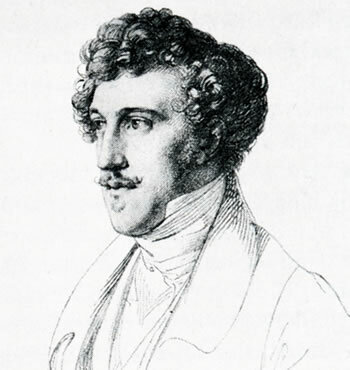 It is perfectly reasonable to assume that the psychological novelty of Müller's poems about his damaged wanderer was sufficient incentive for a composer who had single-handedly taken the Lied to new heights of expressivity to set the poems to music. But if we want to see Schubert suddenly faced with a documentation of rejection by love and rejection by society, alienation, silent suffering and the repeated dialogue with death, a documentation of the terrible need for the wanderer just to keep going for some indeterminate lifetime despite all the horrors on that road, all this contained in Die Winterreise, then the material for that is there, too. Take your pick. ^ Halten wir fest: Im Faktischen hochgradige Ungewissheiten auf der einen wie auf der anderen Seite von Schuberts mutmaßlichem Lebensfluss werden mit einer Brücke verbunden, deren verknüpfungslogische Stabilität über den schwammigen Boden, in dem ihre Fundamente stecken, hinwegtäuscht. Verzichten wir auf solch ein Erklärungsmodell, bleiben wir wohl oder übel vor einem Gemenge möglicher Motive Schuberts stehen. Denn eines ist nicht zu übersehen: Voraussetzung und Folge dieser längst Tradition gewordenen Identifikation von Leben und Werk ist das Urteil, Schuberts »Winterreise« und vielleicht noch die Heine-Lieder seien in ihrer künstlerischen Qualität und Bedeutung einzeln dastehend, jedenfalls eindeutig dominierend über alles andere an Musik, was Schubert 1827/1828 schrieb. Dies ist in Hinblick auf die Klaviertrios, die drei Klaviersonaten, das C-Dur-Streichquintett oder die Es-Dur-Messe nicht akzeptabel. Gernot Gruber, Schubert. Schubert? Leben und Musik, Bärenreiter, Kassel 2010, ISBN 978-3-7618-2123-7. p. 172. ^ Schubert wurde durch einige Zeit düster gestimmt und schien angegriffen. Auf meine Frage, was in ihm vorgehe, sagte er nur, »nun, ihr werdet es bald hören und begreifen.« Eines Tages sagte er zu mir, »komme heute zu Schober, ich werde euch einen Zyklus schauerlicher Lieder vorsingen. Ich bin begierig zu sehen, was ihr dazu sagt. Sie haben mich mehr angegriffen, als dieses je bei anderen Liedern der Fall war.« Er sang uns nun mit bewegter Stimme die ganze 'Winterreise' durch. Wir waren über die düstere Stimmung dieser Lieder ganz verblüfft, und Schober sagte, es habe ihm nur ein Lied, 'Der Lindenbaum', gefallen. Schubert sagte hierauf nur, »mir gefallen diese Lieder mehr als alle, und sie werden euch auch noch gefallen«; und er hatte recht, bald waren wir begeistert von dem Eindruck der wehmütigen Lieder, die Vogl meisterhaft vortrug. — Schönere deutsche Lieder gibt es wohl nicht, und sie waren sein eigentlicher Schwanengesang. Otto Erich Deutsch, Schubert, Die Erinnerungen seiner Freunde, Breitkopf und Härtel, Leipzig, 1957, p. 160f. ^ Otto Erich Deutsch, ibid., p. 35f. ^ Wenn bei einzelnen Musiken der Sänger, welcher seine Lieder vortrug, mit enthusiastischem Beifall überschüttet wurde und niemand des kleinen Männchens gedachte, das am Klavier saß und mit seelenvollem Spiele die selbstgeschaffenen Lieder begleitete, so fand sich der bescheidene Künstler durch eine solche Vernachlässigung auch nicht im geringsten verletzt. Otto Erich Deutsch, ibid., p. 36. ^ Wenn Vogl oder Schönstein, akkompagniert von Schubert, in größeren Kreisen Lieder vortrugen und damit hinreißende Wirkungen hervorbrachten, so wurden sie mit Beifall und Dank förmlich bestürmt, aber kein Mensch dachte an den bescheidenen Meister, der die herrlichen Melodien schuf. Er war diese Vernachlässigung so sehr gewöhnt, daß sie ihn nicht im mindesten bekümmerte. Als er mit Baron Schönstein einst in ein fürstliches Haus geladen war, um seine Lieder einem sehr hohen Kreis vorzutragen, umringte der entzückte Kreis den Baron Schönstein mit der feurigsten Anerkennung und mit Glückwünschen über seinen Vortrag. Als aber niemand Miene machte, den am Klavier sitzenden Kompositeur auch nur eines Blickes zu würdigen, suchte die edle Hausfrau Fürstin B. diese Vernachlässigung gut zu machen und begrüßte Schubert mit den größten Lobeserhebungen, dabei andeutend, er möge es übersehen, daß die Zuhörer, ganz hingerissen von dem Sänger, nur diesem huldigten. Schubert dankte und erwiderte, die Fürstin möge sich gar keine Mühe diesfalls mit ihm geben, er sei es ganz gewohnt, übersehen zu werden, ja es sei ihm dieses sogar recht lieb, da er sich dadurch weniger geniert fühle. Otto Erich Deutsch, ibid., p. 157f.